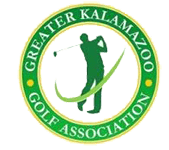 The Greater Kalamazoo Golf Association (GKGA) does not charge for memberships. To be a part of our organization please go to the main page and sign up for our newsletters. We send infrequent emails about our tournament, goings on, and general news. Your information is kept secure and never shared or sold. Also please like our Facebook page!